Bem, a pedido de muitas famílias, decidi abrir este tópico para falarmos na generalidade dos oleds, pois como o @Silver-Eye mencionou é muito bem, temos discutido os variados modelos nos tópicos da 910V e 920V. Fica então este criado para discutirmos assuntos gerais das TVs desta tecnologia. Amanhã já edito isto com mais informações. In a single week during IFA 2016 in Berlin, the number of OLED TV manufacturers jumped from 2 to 8. This could be the breakthrough for the new display technology. Here is an overview of which manufacturers joined the OLED camp, when the TVs will be available, and at what price. Before IFA in Berlin kicked off in early September, there were only 2 manufacturers of OLED TVs (if you exclude the Chinese market). LG was obviously one of them since it is LG’s display division, LG Display, which supplies all manufacturers with OLED TV panels. Panasonic was the other. Now there are 8 (soon 9) OLED TV manufacturers. Samsung and Sony are still standing firm, trying instead to squeeze the last drops out of LCD technology. However, the message is clear: LG has opened the floodgates and OLED is no longer reserved for the few. If a manufacturer wants to sell an OLED TV under its own brand, it is now possible. The following manufacturers have (or will soon launch) OLED TVs. At this point LG is more or less synonymous with OLED because it is LG Display – the conglomerate’s display arm – that produces all OLED TV panels today. That will change in the future but it obviously means that LG has the broadest line-up of OLED TVs at the moment. LG offers OLED TVs in 55, 65 and 77” (EG9100, B6, C6, E6, G6). Prices for LG’s 2016 TVs start at $2500. 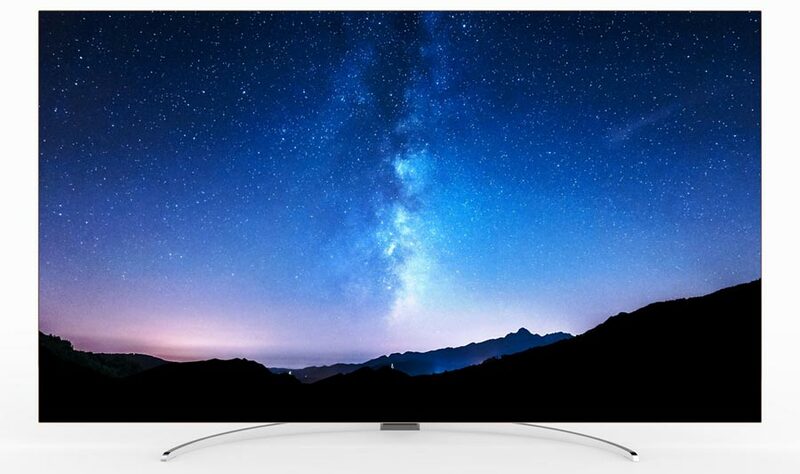 They are offered in flat and curved variants; all with Ultra HD, HDR and Dolby Vision. Panasonic was the second manufacturer to launch an OLED TV. This happened in late 2015 with the 65” CZ950 that was priced at a cool 10.000 Euro. Panasonic has already given a glimpse of next year’s OLED TV and has promised to reveal more information ”later this winter”, presumably at CES 2017 this January. No price indication was given. bild 7, which is available now in Europe in 55 and 65-inch sizes. Bild 7 supports the Dolby Vision HDR format, just like LG’s OLED TVs. In early 2017 Loewe will add another OLED model, bild 9, to the line-up. This TV will mark the beginning of a new design language at Loewe. 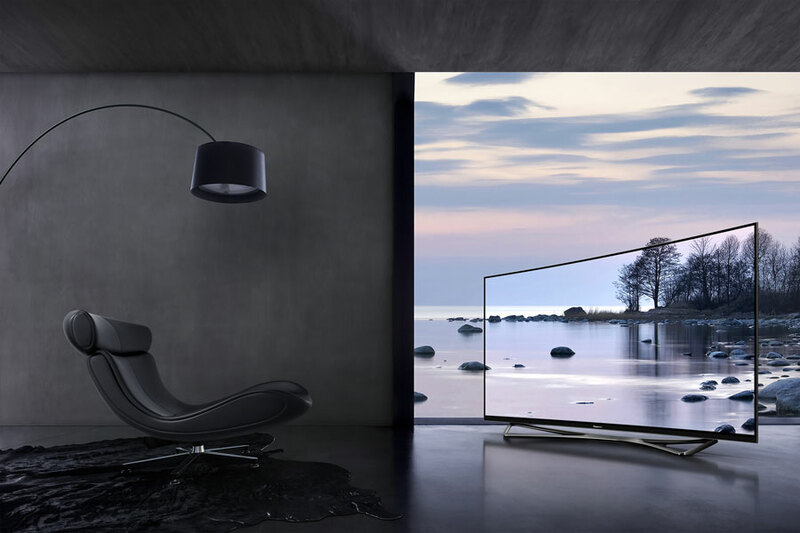 It will also compete with Danish Bang & Olufsen’s first OLED TV that will arrive in 2017. 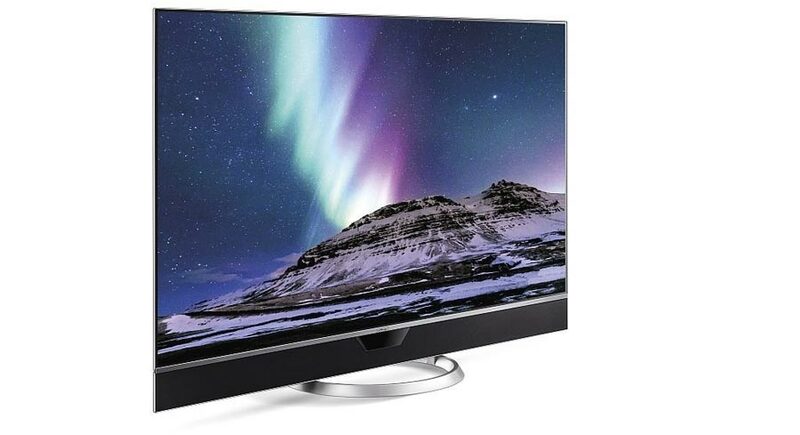 Rumors had swirled for years and there has been no doubt as to Philips’ interest in OLED. The only question was when. 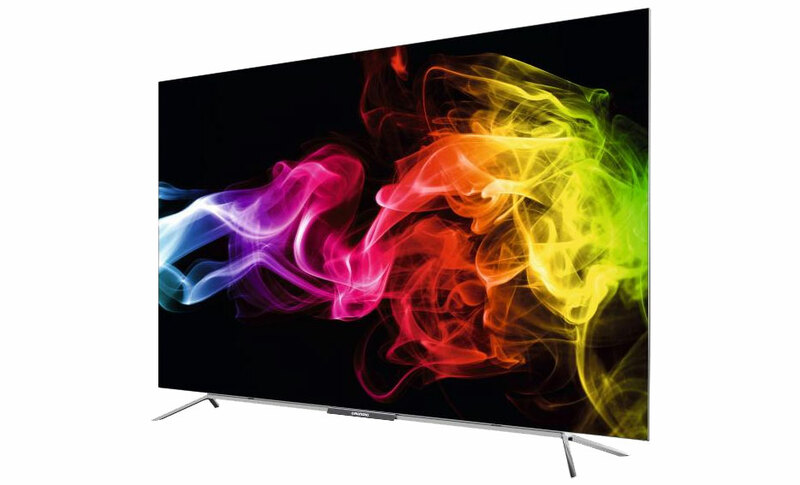 At IFA 2016 earlier this month, Philips finally launched its first OLED TV with the 55” 901F that will be available in Q4 2016 at a price around 3.499-4000 Euro, depending on your region. 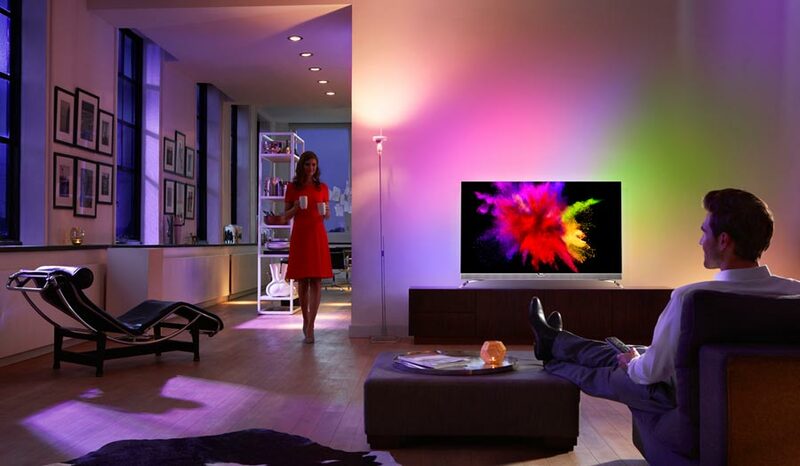 The TV will not be available in the US where the Philips TV brand is managed by another company. Rumor goes that Philips will expand the line-up with a 65” model next year but we have not been able to confirm that with the company. Grundig still exists and at IFA the company unveiled its first OLED TV in the form of a 65” model with model name 65LO9790. It is produced by Tyrkish Arçelik who has licensed the rights to the Grundig TV brand. 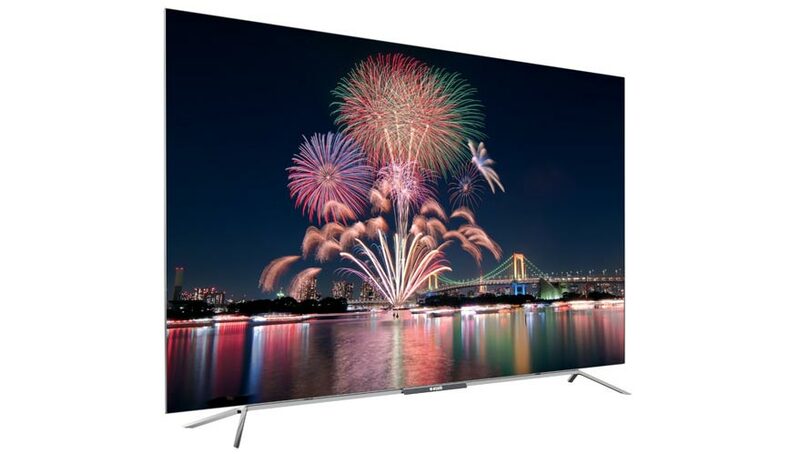 The TV will be available in Europe but the official price has not been announced. In the Nordic countries it will sell for around 6500 Euro. Metz, the German manufacturer, will later in 2016 launch 55 and 65-inch OLED TVs. The TVs are available in select European countries for 4999 and 6999 Euro, Metz announced at the IFA show. Vestel is producing TVs under more established brand names such as Toshiba, Finlux, Hitachi and Medion. This makes them Europe’s largest manufacturer of TVs if you count all the sub-brands. At IFA, Vestel unveiled a 65” OLED TV that will launch in Turkey later this year. The price was not announced but since Vestel is producing TVs under OEM license for several other brands it looks likely that Vestel’s engagement will help bring OLED technology to more tier 2 TV brands. Arçelik is also producing TVs for other more established brands. It is Arçelik who is producing Grundig’s OLED TV and if you study the photos you will see that the two TVs look almost identical. At IFA, Arçelik announced its own OLED TV that will be sold in Turkey for around 3800 Euro. It has not been confirmed if it will launch in other European countries but you can obviously argue that it will under the Grundig brand. Lastly, we have Danish Bang & Olufsen. While B&O has yet to unveil its first OLED TV, the company has confirmed that it will launch the TV in 2017 in a partnership with LG. 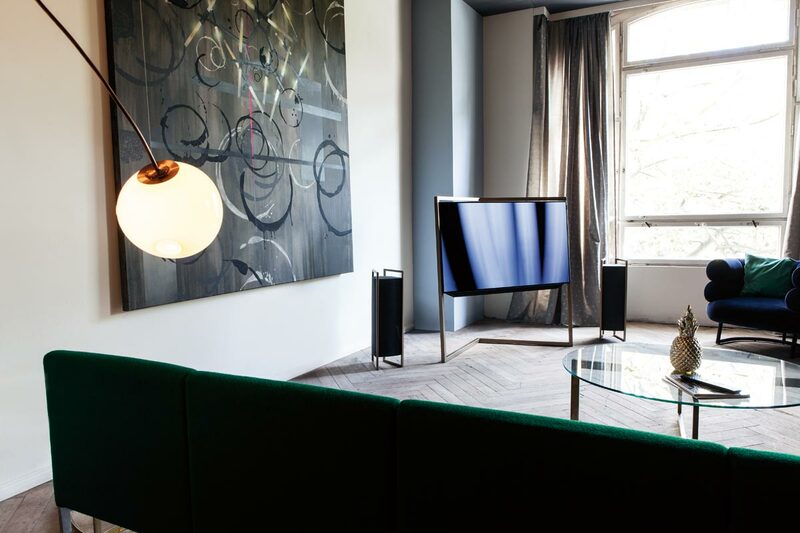 Bang & Olufsen could be the ninth brand to launch an OLED TV in Europe – depending on when in 2017 it launches. You can learn more about what the partnership with LG entails here. Most of what happened at IFA 2016 is directed at Europe. We expect a similar wave of announcements for the US market at CES 2017 in Las Vegas this January. All this gives us hope that prices on OLED TVs could drop in 2017. Of course, LG Display remains the only supplier of OLED TV panels so far, which gives it a lot of control, but the company has kicked production into a new gear, which should help bring down production costs. Estou de olho na 910v, mas vou esperar mais um pouco até que o preço se aproxime dos 1000eur. Uma questão: qual é o vosso feedback em relação á qualidade do som? Depende do tamanho do local onde a vais por.. Knt maior o local, pior vai ser o som. Adoro o design da Oled da Vestel. Vamos lá ver o preço. Agora ando de olho em todas. Bem, ainda n tive de testar e ver conteúdo algum. Tive de mudar o meu set, mts cabos por todos os lados..
Já agora, alguém sabe como aceder ao menu de serviço, ou verificar o tempo de uso de painel? Onde diz Geral, não menciona o número de horas por baixo da informação do update? Antes mencionava mas acho que removeram isso num update de firmware. Mas é fácil de veres, como vinha a caixa? Selada? Os esferovites tinham marcas? O ecrã é fingers magnet, se vires dedadas nele é porque o tiraram da caixa. Boas pessoal, hoje fui à w...en para ver a LG910v e quase trazia a LG55B6V. Tive á a falar com um representante da LG e convenceu-me que a LG55B6V era muito melhor e que valia bem a diferença do preço. A LG910v ficaria por 1300 eur e a LG55B6V ficaria 1800 eur. Ele falou-me que os ecrãs curvos é uma moda que está a passar, só a samsung lançou esse tipo de ecrãs em 2016. Tou mesmo tentado a investir numa oled... depois surgiu algumas dúvidas. A diferença de preços da 910v para a 55B6v é de 500 eur, a minha pergunta é, acham que o 4k veio mesmo para ficar? Qual é a vantagem de ter uma 4k se não existe nenhum canal a transmitir em 4k?? Só há uma duvida que não precisas de ter é a de ter uma Oled. Seja qual for a tua escolha ficarás bem servido. A questão do ecrã curvo na 910 é imperceptível e foi uma agradável surpresa para mim que tenho uma. depois se o dinheiro não for problema e se não valorizares o 3D então pensaria na B6 dado que poderás usufruir mais tarde de alguns conteúdos. Em termos de jogos não sou a pessoa indicada mas pelo que li a B6 pelo HDR10 permite uma jogabilidade com os conteúdos mais recentes fantástica. Se queres a melhor imagem sem dúvida que a melhor opção, para mim, neste momento no mercado é OLED. Espero ter ajudado. Isso da curva nem se nota. Tenho a 920V e a curva não faz qualquer confusão. E como representante da Lg ao dizer k só a Samsung lançou ecrãs curvos.. enfim..tretas..
Então e a Lg oled C6 da gama de 2016 ? (Apesar de tb acreditar que os ecrãs curvos estão em extinção). Anyway.. a curvatura é mm mt pequena.. Eu no teu caso, daria mais esses 500€ caso exista capacidade $. Não só pelo 4k, mas pelo hdr10 e Dolby vision. Não falando das imperfeições já corrigidas. O brilho tb é maior, já que pertence à Hd alliance. Se o 3d não te interessar (C6). A B6 é brutal. Harmon kardon é uma marca Premium de "som". As colunas são feitas por eles. São boas, mas n fazem milagres. Vai depender do espaço onde tenhas a tua TV. Já agora o que é exactamente o hdr10 e o dolby vision? O representante não soube explicar muito bem ou não estava para perder muito tempo com explicações tecnicas! Em relação ao 3d não me faz falta. High dinamic range: paineis de 10 bits mais cor mais brilho, existe quem considere que é uma "revolucao" visual bem mais importante que o 4k. O Dolby vision, salvo erro 12 bits.. O hdr10 é para já o formato mais aceite de momento, ps4 xbox one s netflix amazon video, ja tds estão a produzir conteúdo para hdr (mariotariamente para o hdr10). Caso avances para a b6, tens uma tv compatível com ambos os formatos..
Tenta ler algo sobre isso, pois explicar sem estares a visualizar é complicado. Estou mesmo tentado em avançar para a b6. O representante disse que era oportunidade única, pelo menos até ao final do ano a b6 não vai estar mais a este preço!? Acho que ele quer é vender, receio que pelo natal possa surgir promoções mais vantajosas. Sabem se a 55b6 está também abrangida pela campanha "cashback future" ?? Se tens possibilidades avança. Se estives sempre há espera que o preço desça sempre mais nunca vais comprar. Dou-te o meu exemplo comprei a 910 há 6 meses por 1499€. E agora já encontras a 1300€... neste momento é um excelente negócio caso tenhas possibilidades eu nem hesitava. Os OLED não estão abrangidos por essa campanha, infelizmente. É bom ver finalmente OLED a arrancar e ver mais tópicos sobre a tecnologia na primeira página com cada vez mais pessoal a aderir, espero que até ao Natal os preços desçam ainda mais se as grandes lojas não inventarem até lá. Boas, mas o que é que tem o 3D?